To realise business value and achieve competitive advantage in a climate of complex and dynamic change, you need a partner who understands the people and organisational challenges of technology investments. 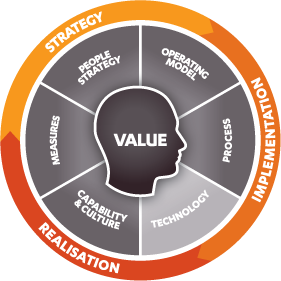 Presence of IT’s People practice provide advice, services and support across all elements and stages of the value realisation lifecycle. Our specialist consultants can help you to build your strategic thinking, guide you through the design and delivery of streamlined processes, services and change initiatives, and embed new ways of working through learning, collaboration and continuous improvement. Watch this video to see how Presence of IT's People Practice can help your business.